So what happens when a Judge and a Princess meet and fall in love? They have a wedding shower and need 60 Thank You cards. To be honest…this isn’t actually about a Judge and Princess, but about two friends whose last names are Judge and Crowne. With noun (and I guess verb) last names, you can have a lot of fun! The Mrs (or soon to be Mrs) helped with the design. She had seen one that had a mustache and lips, but wanted it customized to their names. 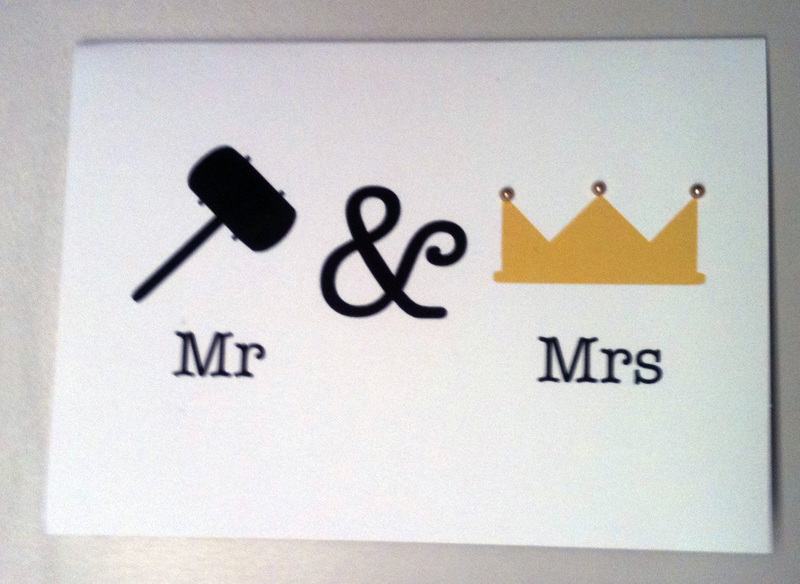 I already had a Mr. and Mrs. card in Studio Gatz, so I added some of those elements. Every card needs a little fun, so I added pearlized dots to the crown for Mrs. Crowne (soon to be Judge). For my regular cards, I use glitter for the ampersand. Studio Gatz can do almost any custom order. Just contact us (custom@studiogatz.com) with your wish list. We’ll be happy to send proofs, pictures, and pricing. So it’s been awhile since I’ve been able to post. Since the store opened a few weeks ago, I’ve been busy creating new product, managing the website (I’m sooo not tech savvy) and just the regular life stuff (oh and my 9-5 job). 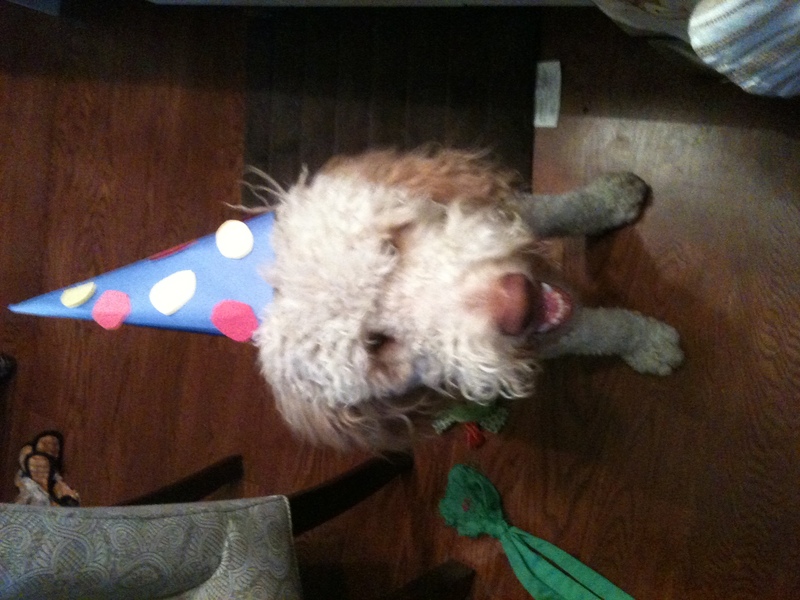 But there was reason to celebrate this week…Gatsby (the store’s namesake and my precious pooch) turned one on Tuesday! It was raining out, so we invited over his best friend Monty for a play date. 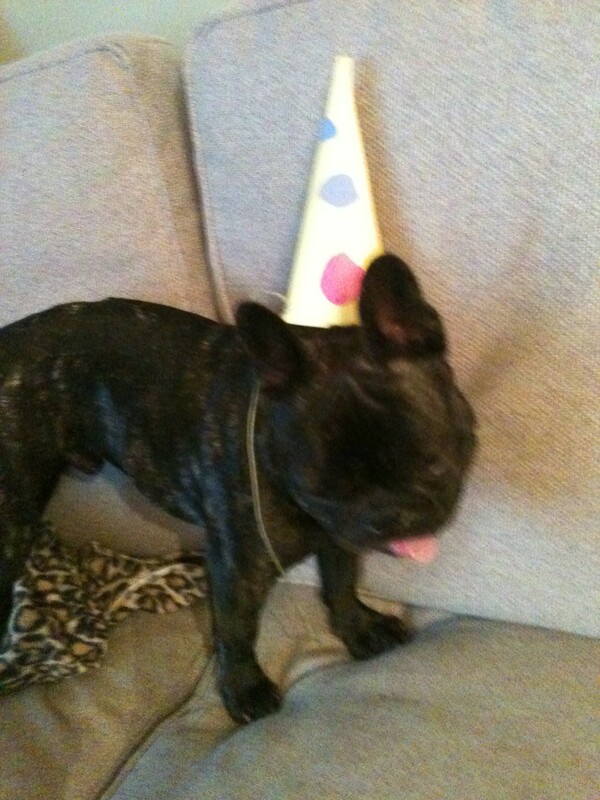 I wanted to get party hats, because, yes I am that crazy dog owner. However, my search was fruitless. So I quickly whipped up some of my own out of construction paper. Monty Didn’t Like His Hat! After slaving away for days in the living room workshop, we are finally open! Actually yesterday we opened the virtual doors. Every day, and every few hours, we are adding new products so check out the store often. Here’s a preview of some of the items you will find! We are just starting out so please send us any and all feedback to contact@studiogatz.com. As the countdown to Studio Gatz begins, we are excited to tell you about our new email list. If you include your birthday (don’t worry we don’t ask for the year), you’ll also get a special birthday month treat! I stumbled upon Coordinately Yours by Julie Banner in the wonderful world of Pinterest. 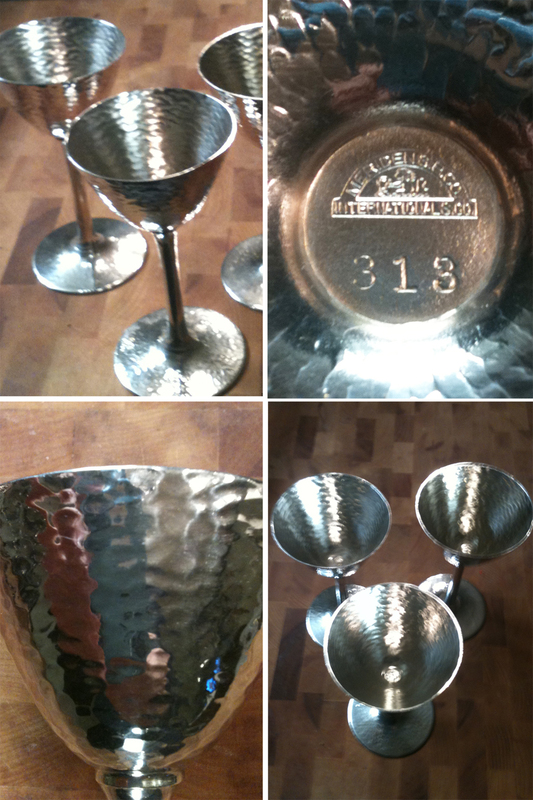 I was led to the blog by a pin for hostess gifts, but I found oh so much more. Great place setting for Easter Brunch! It’s simple and elegant with a fun touch (and smell) of lavender. The menu cars/baggies are adorable. There’s also great recipes and DIY projects (a little something for everyone–most of all the Pinterest obsessed). 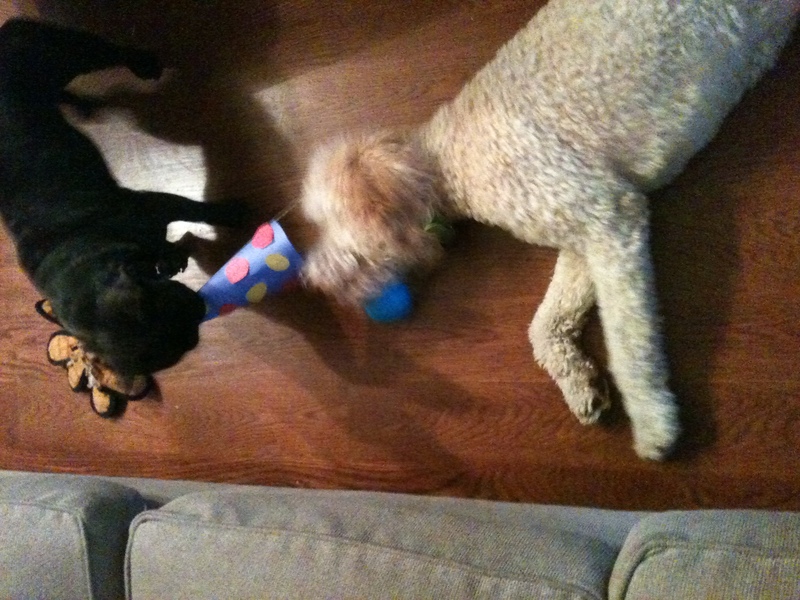 On the left, my cute adorable, dopy, fluffy puppy (with his best bud Monty). On the right, what he returned looking like after what I can only guess was caused by tripping over a box of clippers. It turns out all that fun swimming he’s been doing caused major mats. And so alas, Gatz was shaved from his neck to the start of his tail (think poofy head–skinny body–poofy tail). I wasn’t totally convinced he was him when the groomer gave him to me, so after walking out the door, I immediately made him do a “high five” (his only trick) to prove that he was indeed Mr. Redford. He Was. So for now he’s just going to have to deal with a bad hair day month summer. Anniversaries are hard work…for the children. 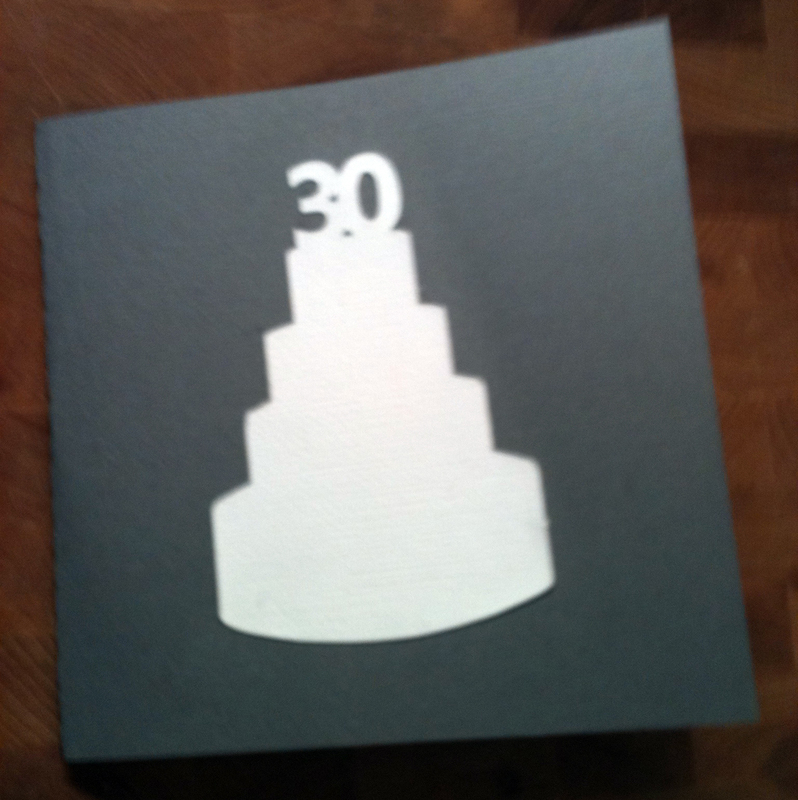 I say that because last night was my parent’s 30th anniversary. And while, yes of course, it took a lot of work for them to get to that point, it also took a lot of work to make their present. Let me start off by saying I’m one of three girls and we don’t live close by to one another (we’re spread between Boston, Chicago, and DC). So trying to plan something together is a bit hard. Thank goodness for group GChat! We started off by trying to meet in DC, where my parents also live, to celebrate, but couldn’t get our schedules to work. Oh wait…just kidding… My dad, it turns out, has a meeting there this Fall. 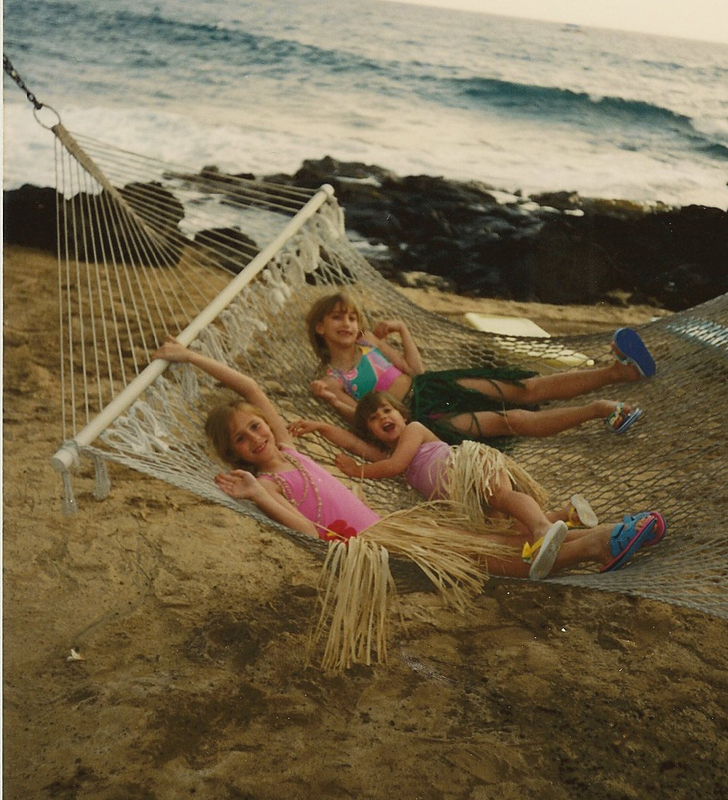 So “Sorry girls, no trip to Hawaii for you.” Way to totally rip my heart out mom (I know you’re reading this!). So anyway… we loved watching our home videos, but they were all on VHS and my parents were paranoid about converting them to a DVD or digital format. Worried they would forever lose their memories. (Ummm the problem with that is you were still missing out on them because you didn’t have a working VHS player!) So we hired my baby sister to be stealthy and secretly grab the tapes and ship them off to be converted (I had a coupon). Hello preserved memories! And while 13 hours of shaky video footage is oh so exciting, we needed something more. Enter iMovie (my new boyfriend and a new “Favorite”). This is why I’m so glad to be a MAC. 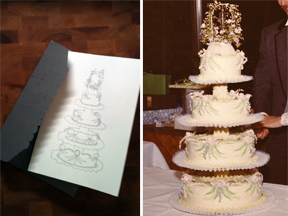 This program was amazing–I was able to slice the old (now digitized) footage with pictures and set it all to music. So parents, please remember… it’s hard for all of us.